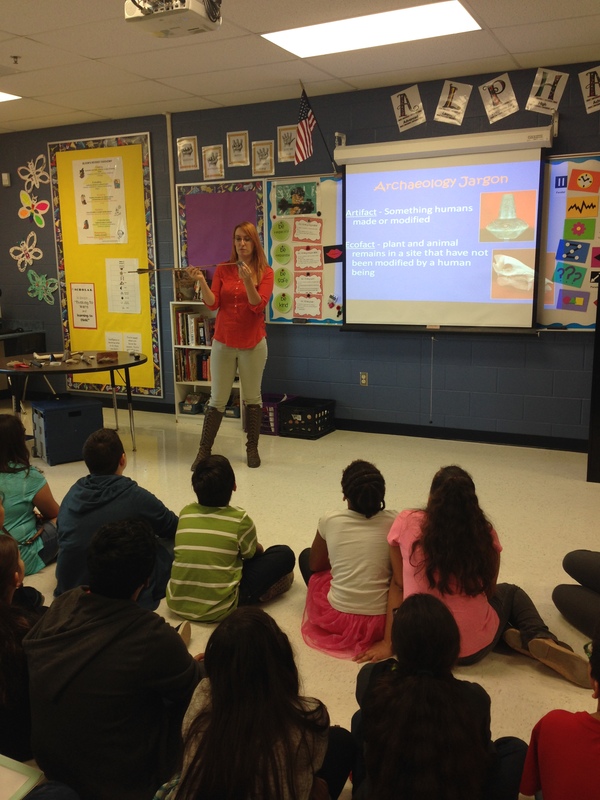 SWTAS supports outreach in San Antonio through the Legacy Outreach Program at the UTSA Center for Archaeological Research and internationally. Read more information below. SWTAS members can support an international archaeology outreach project to develop, print, and distribute over 500 children’s storybooks about the ancient Maya to kids in Belize, Central America. The book is entitled “To the Mountain” and centers on two Maya kids, Little Moon and Running Jaguar, on an adventure through the forest, over the river, and up to the mountain capital. Consider supporting this project and being part of literacy development and cultural heritage promotion in Belize. Learn more on the project website. To donate, visit the online fundraising page. In May 2015, SWTAS was awarded an AIA Society Outreach Grant to support the Title 1 Fund of the Legacy Program at the UTSA Center for Archaeological Research. 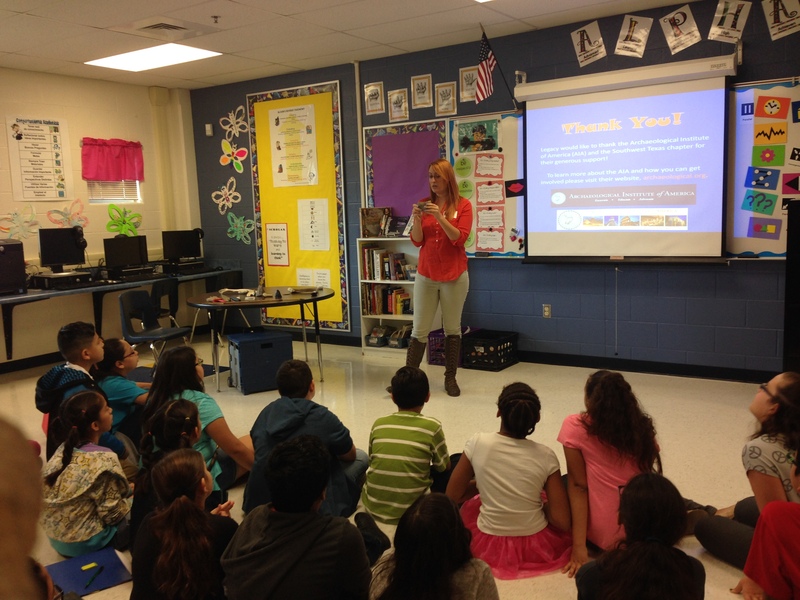 Legacy is a community outreach program coordinated by Whitney Lytle. 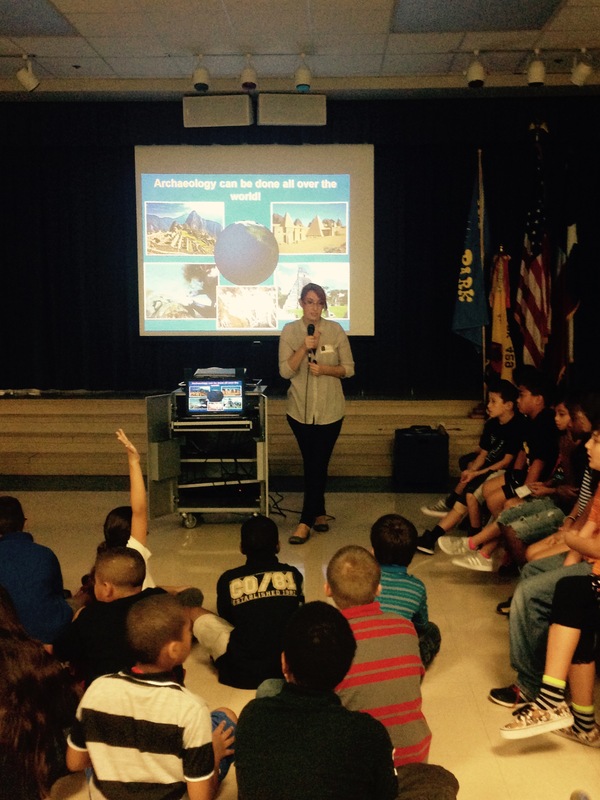 Among their many activities, they are constantly presenting at San Antonio schools about archaeology, anthropology, and the importance of stewardship of the past. Their Title 1 Fund makes it possible for them to visit as many Title 1 schools as possible each year and thus reach more kids and teachers! SWTAS is very proud to support this program and be a part of growing community awareness of archaeology in San Antonio. Title 1 Fund Update! Whitney Lytle has sent an update on the use of funds from the AIA Society Outreach Grant. 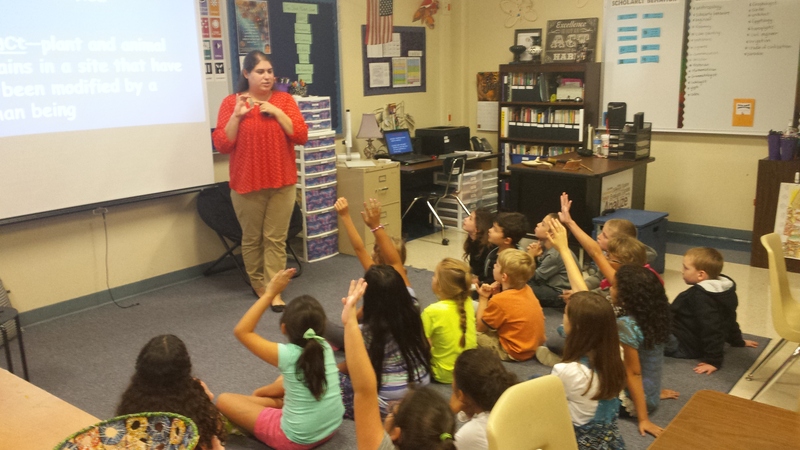 So far, Legacy has visited 5 Title 1 schools and have 3 additional visits to more schools scheduled already! See the table below for more information on the schools and number of students reached so far! That’s 878 students who may be inspired by archaeology and our ancient past! The AIA – SWTAS has established a fund to promote student membership in the Archaeological Institute of America. It is open to undergraduate and graduate students with interests in archaeology, art history, classical studies, and ancient history. Applicants should submit a statement of interest to Joe Lamm at any of the lectures or via e-mail inchicorejoe@hotmail.com (to avoid spam filters, please clearly “SWTAS student membership” in the subject line and do not send attachments). SWTAS will award as many memberships as contributions allow. Funds will be disbursed on a first-come basis; a waiting list will be maintained. Awards will be announced at each lecture, as funding becomes available. Donations to the SWTAS Student Membership are welcome and useful at any time. To contribute, please contact Joe Lamm at inchicorejoe@hotmail.com or 210-367-1782.